Give your kids a movie party – the most creative birthday party they’ll ever have. Make a movie starring them and all their friends! 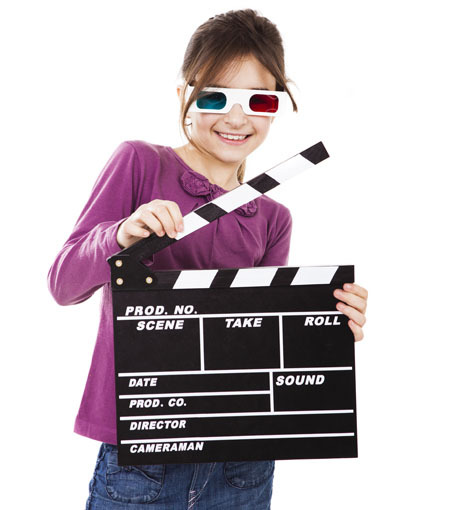 Just download one of our great value kids’ movie scripts, film them having a brilliant time acting it out at their movie-making party, then let them watch the hilarious results on your TV or computer. It all makes for a fabulous birthday party. Each Movie Parties party pack contains a specially-written movie script, an indispensable guide to hosting a film-making party, and a great set of movie-making tips, tricks and special effects – all for just £19.99 (around $30 US). You can download your pack direct to your computer immediately after purchase – so you can get going right away! A kids make-a-movie birthday party could be just what you’re looking for. See our full list of movie scripts for kids, or take a look at our movie scripts for boys or movie scripts for girls. Love singing and dancing? So do we! Check out this battle of the bands in our all-time best-selling party. Choose a script for girls or boys. Ghostly goings-on at what should have been just another midnight feast. Choose a spooky script for boys or girls. Brilliant fun for everyone - kids love it! 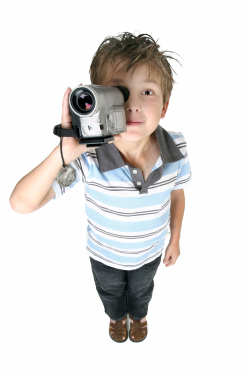 Take a look at our full list of movie scripts for kids.